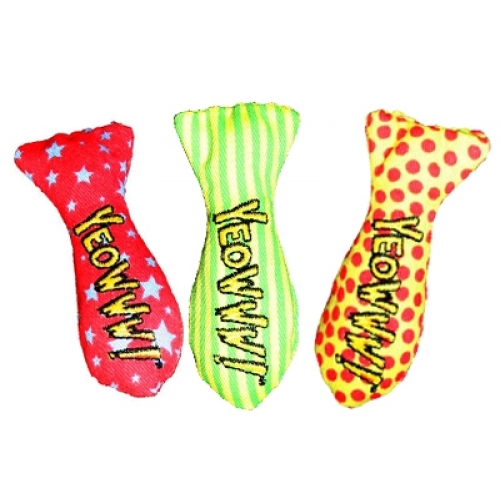 These bright cat toys bring to your kitty two things that they love, catnip and sardines. Although they can't eat the Yeowww! Stinkies, they will love playing with them due to being filled with 100% organically grown catnip. There are currently no questions for Yeowww! Catnip Stinkies Cat Toy - be the first to ask one!